If you’re experiencing an issue with rodents, whether mice or rats, it’s vital that you nip the problem in the bud as soon as possible with effective rodent control. 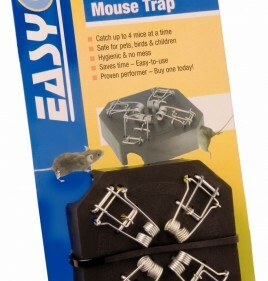 Available in many forms, ranging from traditional mouse traps and poison baits through to choker traps, rodent control offers an affordable solution to what can often be a costly problem. A rodent problem can very quickly escalate, with numbers growing exponentially until you find yourself overrun. As well as causing hygiene issues and spreading disease, rodents can also consume food that was intended for livestock and even chew through electrical cabling, leading to potential fire hazards. As a result, it’s vital to implement adequate rodent control as soon as you notice rodent numbers getting out of control. Ace Equipment offers a wide range of rodent control products and solutions to help you rid your property of rodents and control numbers. Browse though our items today to find an option that’s right for your needs, or contact our friendly team today on 0437 014 327 to receive tailored advice.